A cataract is a clouding or opacity of the natural internal lens of the eye. This opacity may be a small spot or may cover the entire lens. When light enters the eye it is scattered, causing images to appear hazy and blurred. When a cataract has progressed to the point of affecting daily activities, it is best to have it removed and replaced with an acrylic man made lens. This is referred to as cataract surgery. 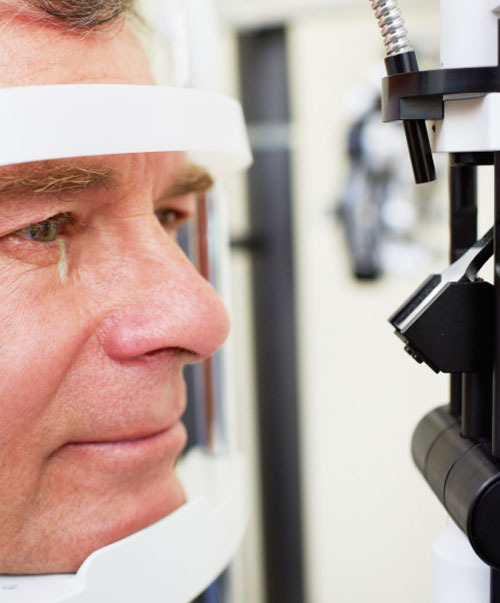 Once our doctors determine if you are ready to have cataract surgery, they will discuss all of your surgical options in order to determine which lens implant is best for you and help you in selecting a highly qualified surgeon. After you have had your surgery, you will need to be seen post-operatively for up to three months to ensure proper healing. This post-op care can be provided in our office. Our doctors will also help determine whether you will need to wear any type of corrective eyewear post-operatively.